Budget 2018: What's in it for schools? Budget 2018: What’s in it for schools? The chancellor Philip Hammond has outlined his spending plans for the next year, but little is on offer to schools. Here’s your trusty Schools Week round-up. Schools will be handed grants totalling £400 million this year for equipment and maintenance, or “little extras”, as Hammond described it in his budget speech. The grants will average £10,000 for primary schools and £50,000 for secondary schools. 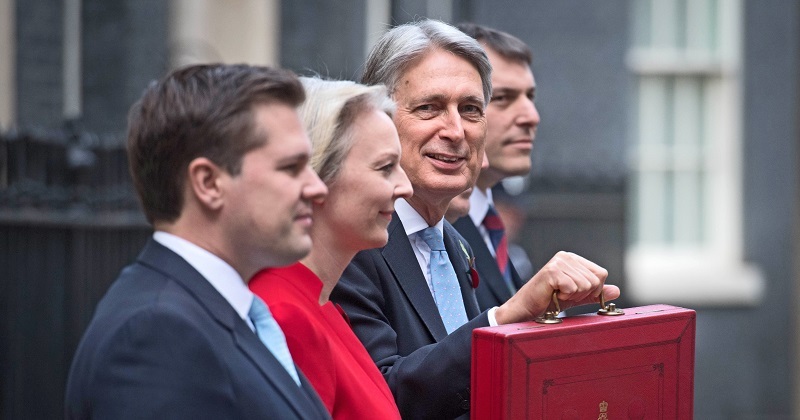 In a bid to create parity of esteem between mental and physical health services, Hammond announced today that mental health funding will increase as a share of the overall NHS budget over the coming five years. Some of this money is expected to go into an expansion of previously announced proposals for children and young people’s mental health, following complaints about the coverage of these plans. Critics of the government’s children and young people’s mental health green paper have warned that the proposals in it – including new mental health leads and support teams for schools – will not reach enough schools. They are only expected to be rolled out to between 20 and 25 per cent of schools nationally by 2023. However, the government today indicated their intention to roll the services out to all schools, though neither a specific timeframe or budget have been published. A regional trial aimed at improving retention of teachers of maths and physics will get £10 million in funding. No further information about this has been provided. Primary schools will be the starting point for a £200 million project to pilot “innovative approaches to deploying full fibre internet in rural locations”. The first wave will include schools in the Borderlands, Cornwall, and the Welsh Valleys. To mark the centenary of the end of the First World War, Hammond will hand out £1 million to pay for battlefield visits for school pupils. A further £1.7 million will be provided to a charitable organisation to provide educational projects in schools to mark the 75th anniversary of the liberation of the Bergen-Belsen concentration camps. The government said it will no longer use private finance initiatives (PFI) to fund new building projects, including schools. Hammond said today the model is “inflexible and overly complex”, and pledged not to sign off any more deals. PFI-funded building works for 46 schools, under the priority schools building programme, were expected to be built by the end of last year. And this won’t affect schools already built under the controversial funding method that are tied into hefty yearly repayments over 25-year contracts. (See Schools Week’s investigation ‘Who will pick up the PFI tab’ here). The government did announce a new “centre of best practice” will be set up to improve the management of existing PFI contracts – but this will sit in the department of health and social care, so it’s unclear is schools will be able to access help.